At exactly 8:33:00.5 AM on May 18, 1980, the north face of Mount St. Helens fell away. The hot gasses released from the pressure of the mountain itself, combined with melted snow resulting in a torrent of mud and ash descending on on the terrain below. Devastation hit in seconds. The landscape changed "forever." How lucky we are to have witnessed this single event in a long series of mountain building that has continued for millenniums. 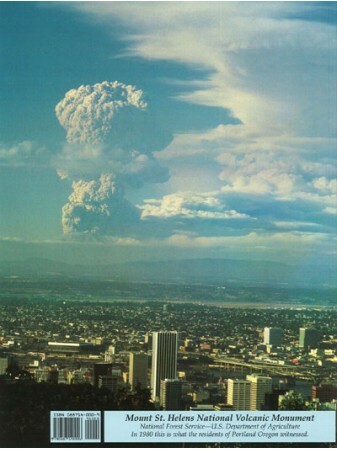 This certainly was not the first eruption of the mountain and it certainly won't be the last. We need to consider ourselves fortunate to be here at a time to see for ourselves what happened in 1980 and to be able to observe the rebirth of the mountain at the Mount St. Helens National Volcanic Monument, Washington. 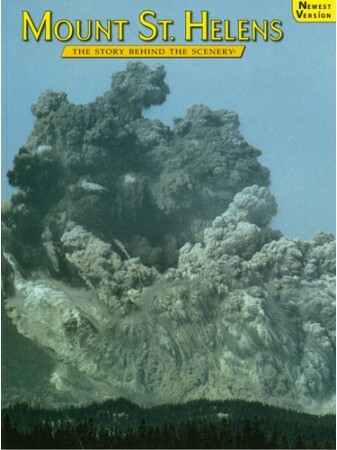 Mount St. Helens, the Story Behind the Scenery, is perhaps the most comprehensive interpretive book documenting the eruption, replete with stunning and beautiful photographs of the actual eruption and of the process by which nature heals itself following such a devastating event. Add this dramatically educational book to your shopping cart now.